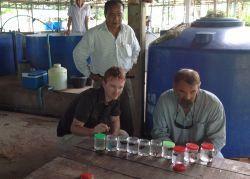 This month Projects Abroad funded a visit to the Cambodia Conservation Project for two of the UKs leading seahorse experts, Neil Garrick-Maidment from the Seahorse Trust and Kealan Doyle from Save Our Seahorses. The pair spent a week out in Cambodia. The visit allowed Neil and Kealan to conduct a fact finding trip to put together a series of conservation and aquaculture projects to help secure the future of the seahorses and the environment in Cambodia. 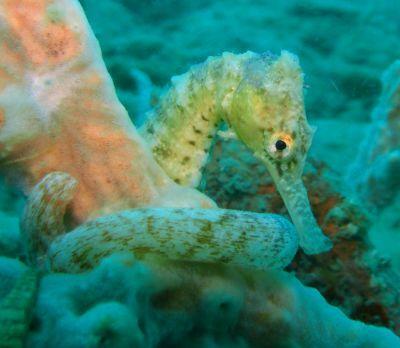 Neil and Kealan will be working closely with Projects Abroad, Marine Conservation Cambodia and the Cambodian people over the coming months to implement these projects and expand the current seahorse research program. Neil told us “This trip has allowed us to devise a wide range of projects that Projects Abroad volunteers will be able to assist in, knowing that their experience will directly conserve species and habitat in the wild. This first stage will be part of an on-going collaboration between us all and which will eventually be expanded to encompass not only the marine world but the jungle on the island as well.